There are billions of hours of content on YouTube and it has been the go-to website since 2005 to upload or watch a video. There might be times when you desperately seek an option to download a video on your phone or PC. But, is it legal to download the video? Does copyright come into the picture? As long as the video is download for personal use the copyright infringement does not comes into the picture. So, now the question stands “How to download a YouTube Video?” It took us a couple of Google searches, reading reviews on forums and hands-on experience on various portals to come to a conclusion about the most suitable platform to download YouTube videos. 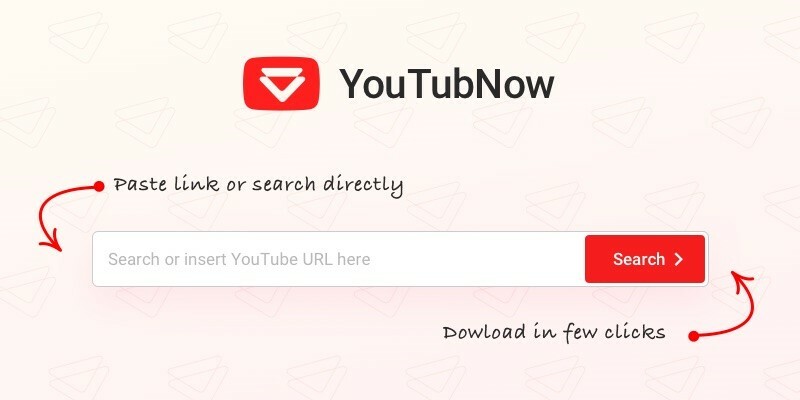 The website YouTubNow provides a simple yet effective platform to search and download your favorite YouTube videos. The videos that are download are converted to video files and saved to your desired location. Further, it can separate the soundtrack from video and saved the media file in .mp3 format, thus making YouTubNow an excellent choice to convert YouTube to MP3. All you have to do is enter the url of video of your choice in the bar provided, select a format and you are good to go! Lets have a quick look at its features. Like we already mentioned you can extract the soundtrack of your video and save it. Further, the converted audio file can not only be saved into .MP3 but also in WebM and M4A formats. Talking about videos, you can save it in MP4 and 3GP formats and choose amongst any resolution 144p, 240p, 360p, 480p, 720p, or 1080p. YouTubNow does not limit its users by putting a restriction on the number of downloads, i.e. users can download as many videos as they want. Further, YouTubNow’s no add policy is a relief where no pop-up or uncalled for ads will test your patience. The default speed provided by YouTubNow is fast, but it provides a faster way to download any video content. Make a minor modification in your video link from youtube.com/your_video_link to youtubnow.com/your_video_link. Post this change the download will happen automatically. It is compatible with all popular browsers, Chrome, Safari, Firefox or Opera, so you don’t have to switch from your favorite browser to use this platform. If you do not know the link of your YouTube video, you can search it on YouTubNow and it will show you the list matching the search criteria. You can select the video of your choice and will be ready to download. With such amazing features, the best part is that no registration is required in order to access this platform. And as mentioned initially, copyright infringement is a serious concern and YouTubNow respects owners’ rights and discourages users to use videos that could be a potential copyright infringement. Also, all copyright content is blocked from being displayed in YouTubNow’s search results. So why wait? Get, set and start downloading!